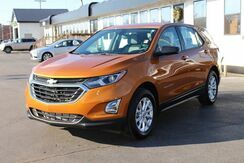 If you're in the market for an incredible SUV -- and value on-the-road comfort and manners more than ultimate off-road prowess or tow capacity -- you'll definitely want to check out this Chevrolet Equinox LT. All-wheel drive means peace of mind all the time. This Silver AWD Chevrolet enjoys a host of features, including exceptional acceleration and superior stability so you can drive with confidence. Preferred Auto Illinois Road has a wide selection of exceptional pre-owned vehicles to choose from, including this 2016 Chevrolet Equinox. Treat yourself to an SUV that surrounds you with all the comfort and conveniences of a luxury sedan. 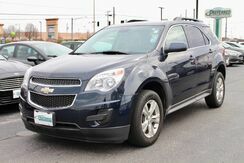 This low mileage Chevrolet Equinox has barely been touched. It's the next best thing to buying new. The 2016 Chevy Equinox is one of the most affordable crossover vehicles in its class, rivaling Honda's CR-V and the Toyota RAV4. The interior features a dual-cockpit design, ice-blue ambient lighting and sophisticated, classy appearance touches that makes it look much more expensive than it is. The Equinox makes an attractive family and cargo hauler. This model sets itself apart with sharp styling inside and out and Powerful and efficient engine selection. Thank you for visiting another one of Preferred Auto Illinois Road's online listings! 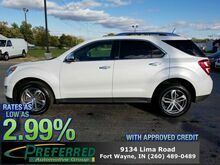 Please continue for more information on this 2016 Chevrolet Equinox LT with 29,020mi. The Chevrolet Equinox is the benchmark all other SUVs strive to meet. With exceptional power, towing and handling, this SUV can handle anything thrown at it. The 2016 Chevy Equinox is one of the most affordable crossover vehicles in its class, rivaling Honda's CR-V and the Toyota RAV4. The interior features a dual-cockpit design, ice-blue ambient lighting and sophisticated, classy appearance touches that makes it look much more expensive than it is. With available V6 power under the hood, the Equinox makes an attractive family and cargo hauler. Thank you for visiting another one of Preferred Auto Illinois Road's online listings! 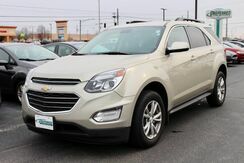 Please continue for more information on this 2016 Chevrolet Equinox LT with 26,741mi. 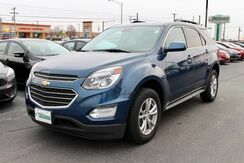 This Chevrolet Equinox LT is an incredibly versatile vehicle that is a "must have" for any family. The Equinox LT is well maintained and has just 26,741mi. This low amount of miles makes this vehicle incomparable to the competition. Strengths of this model include sharp styling inside and out and powerful and efficient engine selection. MORE PHOTOS AND DETAILS AFTER SERVICE INSPECTION -- ONE OWNER, FREE CAR WASHES FOR AS LONG AS YOU OWN IT! Interesting features of this model are sharp styling inside and out and powerful and efficient engine selection. 1 OWNER! CLEAN HISTORY REPORT! HEATED LEATHER SEATING! DRIVER SIDE POSER SEAT! REAR BACK UP CAMERA! TOUCH SCREEN DISPLAY! PIONEER SOUND SYSTEM! KEYLESS ENTRY! REMOTE START! BLUETOOTH! POWER LIFT GATE! Looking for a clean, well-cared for 2015 Chevrolet Equinox? This is it. This SUV is a superb example of what a tough, work focused vehicle should be. Exceptional towing, acceleration and torque will help you get the job done. 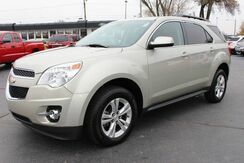 Enjoy the grip and control of AWD performance in this nicely equipped Chevrolet Equinox. It's not a misprint. And the odometer isn't broken. This is a very low mileage Chevrolet Equinox. A rare find these days. Strengths of this model include Powerful and efficient engine selection and sharp styling inside and out. 1 OWNER! CLEAN HISTORY REPORT! REAR BACK UP CAMERA! TOUCH SCREEN DISPLAY! HEATED SEATS! DRIVER SIDE POWER SEAT! TOWING PACKAGE, KEYLESS ENTRY! BLUETOOTH! Preferred Auto Illinois Road is excited to offer this 2016 Chevrolet Equinox. This versatile SUV is perfect for families or contractors with its oversized cargo area, exceptional horsepower and option upgrades. There is no reason why you shouldn't buy this Chevrolet Equinox LT. It is incomparable for the price and quality. 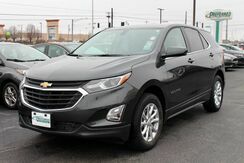 The quintessential Chevrolet -- This Chevrolet Equinox LT speaks volumes about its owner, about uncompromising individuality, a passion for driving and standards far above the ordinary.